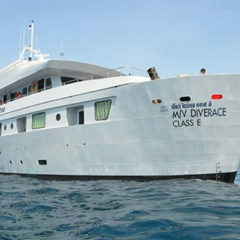 The liveaboard schedule may be changed due to weather conditions. we will contact you usually within 24 hours to confirm your booking. If you have any special requests, please put them into the "Comments" box below. To confirm your booking we will require a 30 percent deposit to one of our accounts. or call us at +66 (0)76 333 043, fax at +66 (0)76 333 063 to make a reservation. We cannot hold reservations without a deposit. The remaining 70% (50 %) must be paid no later than 60 (90) days before the cruise departs. If the balance is not received on time we reserve the right to resell your spot(s). Last Minute and Special Offers must be paid in full on booking. 90 days or more: deposit returned minus bank charges. Between 90 & 60 days: deposit lost. Less than 60 days: no refund. political problems or civil unrest. at the same time as booking your cruise. Welcome to Oceanic Dive Center! 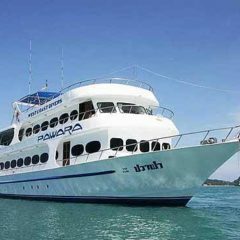 Whether you're a veteran of diving Phuket for many years, or never yet experienced the magical world beneath the waves, we can provide all the dive courses, fun-diving day trips and similans liveaboards that you're looking for while you're in Phuket. Oceanic is run by a family of divers, and we've been diving Phuket for ten years, catering to divers of all abilities, and keeping our Phuket diving school personal, professional, honest and knowledgeable. 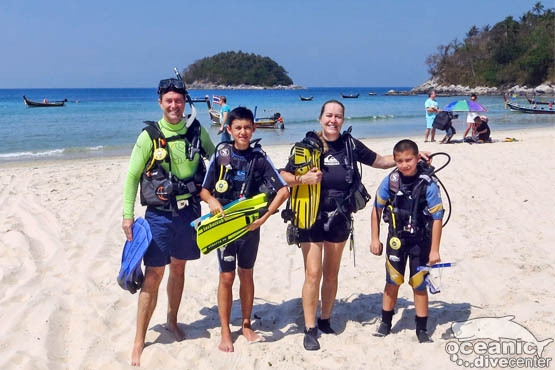 "More a club than a dive shop" is the most common comment we get from our scuba divers, who come back to Phuket year after year, and send their family and friends to experience the very best diving Phuket has to offer. 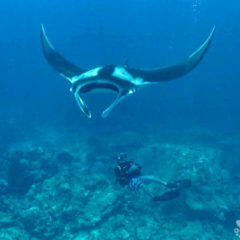 We also arrange snorkeling trips for you and your family, either with or without scuba diving. 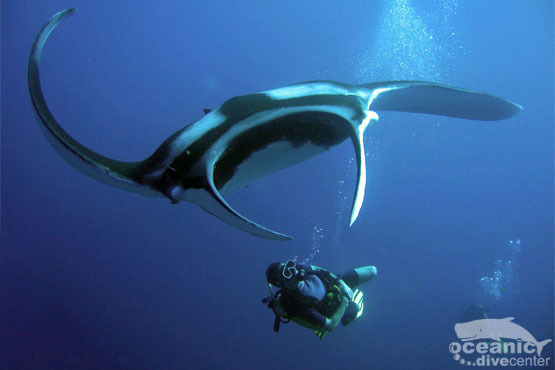 Join us on one of our Similan Islands liveaboards to scuba dive with manta rays, turtles and whalesharks! 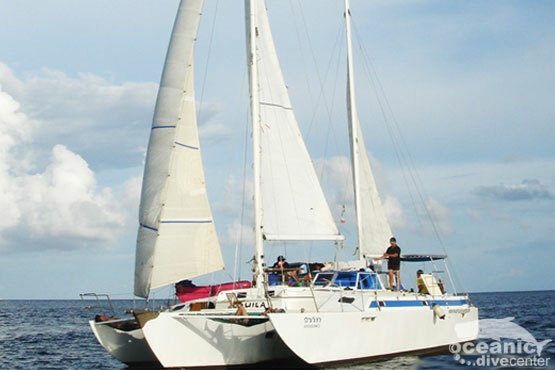 Phuket is an ideal starting point for your Similans liveaboard adventure. Most Similan Islands dive trips are 4 days and 4 nights - that's 14 dives - and you will dive Similans and sites further North of the Similans at Koh Bon, Koh Tachai, Richelieu Rock and Surin Islands. 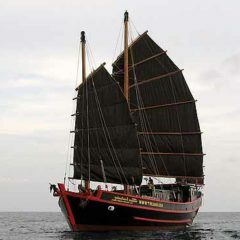 If you prefer a shorter trip, we have Similan liveaboard boats with a flexible schedule that you can join or leave any day you choose. 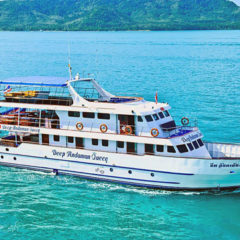 Or you can head South to the less-visited, but equally beautiful, Hin Daeng, Hin Muang, Koh Haa, and Phi Phi on one of our Southern Andaman liveaboard safaris. 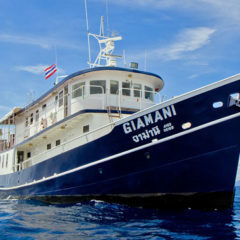 Over our years of Phuket diving, since 1999, we have hand picked the best Similan liveaboards for you and we guarantee that, whether you choose a budget overnight Phi Phi trip or a luxury Similan Islands safari, you'll be treated like a VIP both under water and back on board. That's why our divers come back to us year after year. 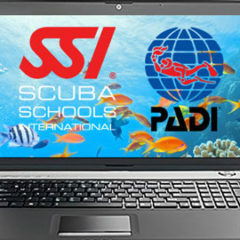 Open Water Diver Online Theory Promotion! 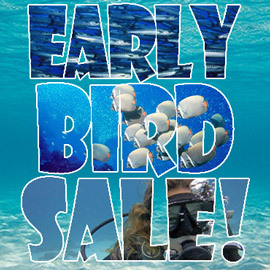 We are your one-stop-shop for all things scuba in Phuket, with something for everyone! Many of our regular, experienced divers came to learn to dive in Phuket with Oceanic many years ago, and they're still coming back. That longevity and continuity has given us the edge in knowing what will benefit our divers the most, in a scuba club atmosphere. We offer all of the scuba courses you need, without the hard sell you'll get at the big diver training schools in Phuket. We offer the full range of Try Scuba, Discover Scuba Diving, Open Water diver, on to SSI and PADI Continuing Education courses, to take you all the way from absolute beginner divers, to dive professionals. 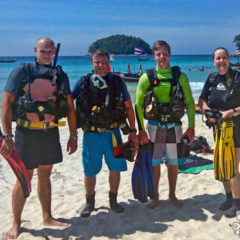 Follow the Dive Courses link below to read more about learning to dive in Phuket. 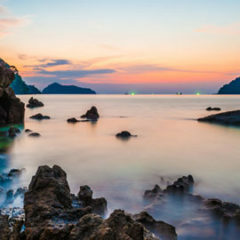 If you're looking for fun diving in Phuket, you'll get the most fun out of an itinerary that we will tailor-make for you, based on the current conditions, your diving experience and your scuba diving expectations. From local shore dives, to day trip boat diving, to Similans liveaboard diving, we've been picking the best for our divers since 1999. 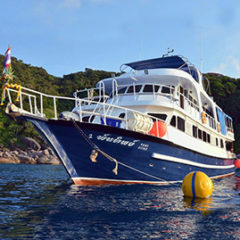 Read more about Phuket diving Day Trips and Similans Liveaboards by clicking the Day Trips and Liveaboards links below. Welcome to Diving Phuket Island and Oceanic Dive Center! Join the jet-set and charter your own yacht for a tailor made trip to the islands of your choice. 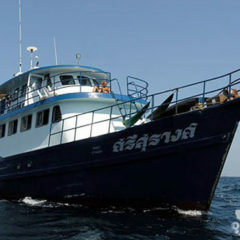 Go diving at the best dive sites in Thailand and the world on a liveaboard. 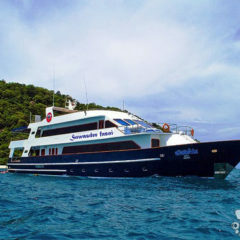 We offer Similans liveaboard boats for all budgets. 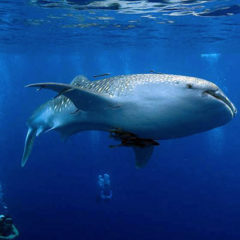 Why Come Scuba Diving in Phuket? Phuket has been a popular dive destination for many years now, and with good reason: new divers enjoy the easy conditions we have on many sites, with good visibility, little current and a LOT of fish life; divers with more experience can find rare species and spectacular underwater scenery to keep them amused; and if you've never dived before? 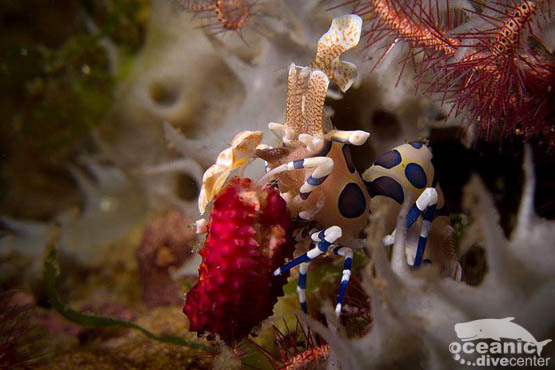 Phuket dive sites harbour an incredible range of marine life species, living on the easiest of dive sites, so you never know what you may see, even on your first dive ever. Another great advantage we have here diving in Phuket, is the climate. The water temperature remains at a steady 29°C (84°F) for the entire year, so there's no need for bulky wetsuits weighing down our divers' luggage! 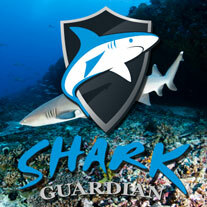 We specialise in providing dive training courses for children. 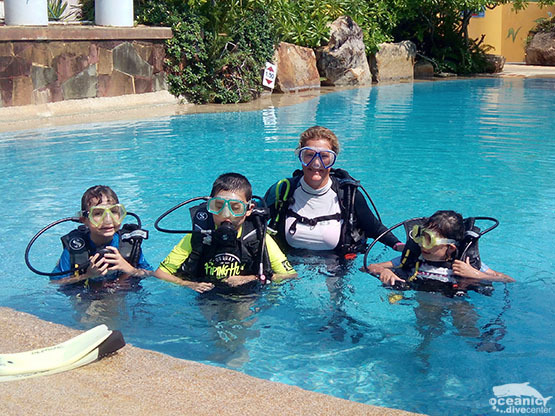 Over the years, we have developed our scuba courses to remain fun and engaging for kids of all ages, at the same time as instilling a keen sense of safety and responsibility. Children can dive, in a controlled environment, from as young as 8 years old, but it's not until they reach 10 that they can take the full scuba course to become Junior Open Water Divers. 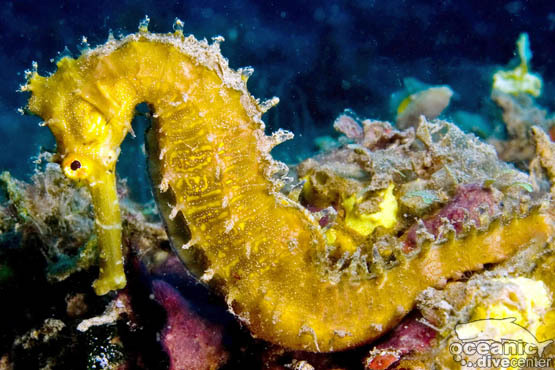 In Phuket we have some fantastic dive sites that are shallow, and safe enough, for the youngest divers to meet all sorts of fascinating marine life. It is truly magical to watch your kids learning to dive, and we encourage families to join in on their children's dive courses. 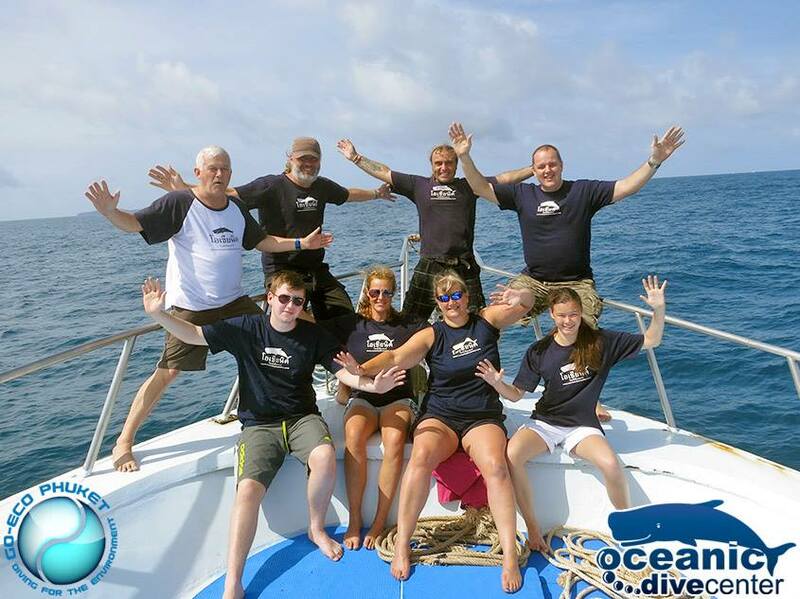 Whether you are already an experienced diver, or learning scuba at the same time as the kids, it helps forge an even stronger bond, experiencing the wonders of the underwater world together, and creating unforgettable memories. 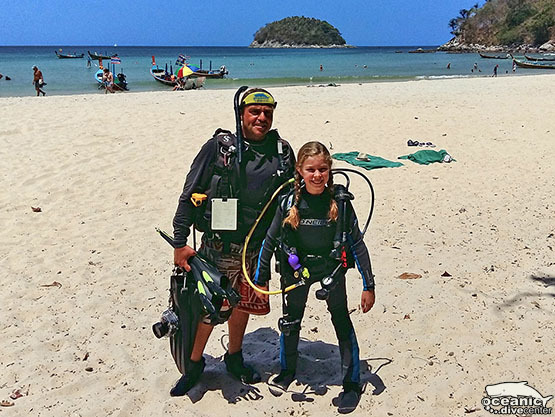 Oceanic: we are a family-run dive center in between Kata beach and Karon beach, Phuket. Our Phuket dive shop is located within walking distance from Karon & Kata Beaches and just a few minutes drive south from Patong Beach. 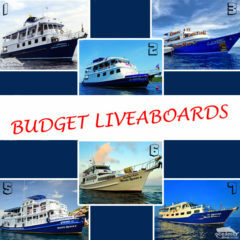 We will give you best advice on all aspects of scuba diving in Phuket, diving daytrips or dive courses and liveaboards. 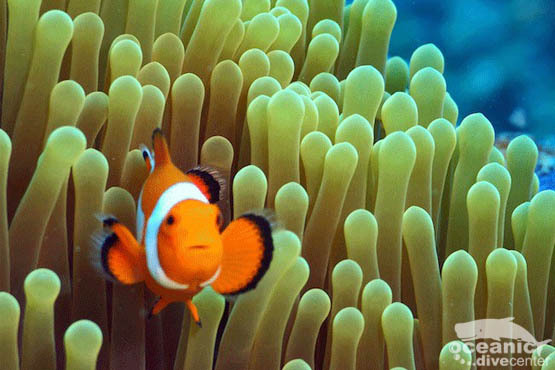 We arrange special care for children, snorkelers, beginners etc. 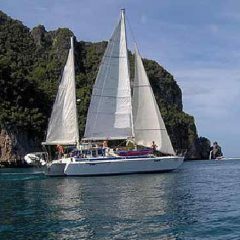 We can also help you find accommodation around Phuket Island, give recommendations of local non-diving activities, and you can combine your liveaboard experience in Thailand with our SSI and PADI dive courses. 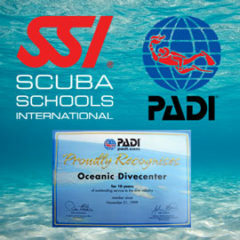 We care about your safety, comfort and diving education and are members of Divers Operators Club in Thailand (DOCT) as well as Thailand Diving Association (TDA). 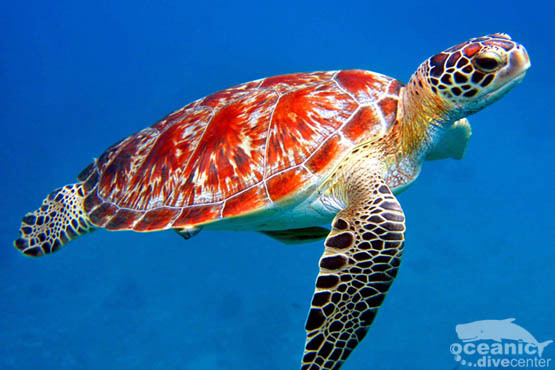 We also care deeply about our environment and are active members of GoEco Phuket.